Who Is Liable For An Accident Due To Brake Failure? Being in a car accident is scary, especially when its due to brake failure. Losing control of the car and crashing into something can cause serious injury to you, passengers and other drivers. When this happens to you, it might seem like you are liable for any damages. However, that’s not the case. According to the National Highway Traffic Safety Administration’s (NHTSA) survey on motor vehicle accidents, around 2% of accidents are caused solely by issues with the vehicle itself, such as brake failure. This figure encompasses two primary categories: manufacturing defects and design defects. The former refers to an automotive defect resulting from a poor manufacturing job in the factory. Typically, this will be a more isolated incident than one stemming from a design defect. Contrarily, if there is an issue with the car’s design, all of the cars matching that model and year are likely affected. In order for an attorney to demonstrate that the manufacturer is liable for the accident, the issue with the brakes must be proven unreasonably dangerous. Further, this defect must be shown to be a direct cause of the injury. Often, such defects result in rear-end collisions with another vehicle. One important factor in determining liability in such accidents is driver negligence. Were the brakes really defective, or was the driver distracted and not paying attention to the road? Was the driver aware of their vehicle’s poor condition, or was it a surprise failure? 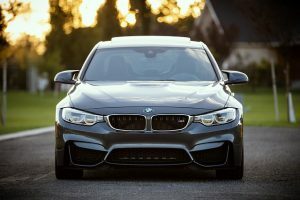 If the brakes can be shown to be faulty by an impartial mechanic shortly after the accident, an attorney can likely help you sue the vehicle’s manufacturer. In some cases, the car dealership or a mechanic can be liable as well. However, if the driver is proven to have been distracted, these claims are no longer viable and they must assume liability. Similarly, if the driver was aware of the poor condition of their vehicle before taking it on the road, they will be liable a result of negligence. Often, in collisions due to brake failure, the liability is split between both parties. It is common for both drivers to have been acting recklessly and even illegally before the accident occurred. For example, one driver may have been going over the speed limit when crossing an intersection, failing to hit the brakes in time and hitting another car who was running a red light. Both drivers were acting unsafely, and thus would both share the liability for this accident. In any regard, accidents involving or claiming to involve vehicle defects are complex situations centered around product liability law. To best protect yourself, contact an experienced auto accidents attorney to assist with your case.